This discussion about innovation at the World Economic Forum in Davos provides some optimistic outlook on how we could find ourselves out from the economic crisis that originates from the melt down in the financial market in the US. I am sure human being had survived numerous crisis before and the present one would not be the last. Another discussion which could be relevant to innovation is about the protection of intellectual property rights. Interestingly, the discussion on this area in Davos agrees that intellectual property protection is essential for development but inequality in this area needs to be recognised as there are different developmental stages among countries as well as the ability to deploy innovation could differ from country to country. 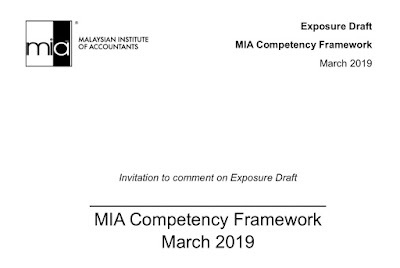 From my observation, one of the challenges for companies in Malaysia to innovate is the sense on reliance on the government to the extend that we always expect the government to solve all our problems. Perhaps given that everybody may be facing greater challenge this year, more people and corporations would push themselves to think outside the box and become a more innovative society. What would be the areas that you would be innovating to sustain your business in this challenging economic environment? I was attracted to this report on how people selling agriculture products in a village in Sabah left their stalls unmanned and rely on the integrity and trust of their customers in conducting business. Please read the Bernama news report for further detail. This is where I see paradox in this world where ordinary people from rural areas are applying the basic human values such as trust and integrity whereas the modern and sophisticated people in modern cities somehow lost the very basic values of being human. You could compare the above with this news from the US regarding a banker and another one regarding an IT company in India. The delegates to the Asean Federation of Accountants (AFA) Council meeting in Phnom Penh were invited to a gala dinner organised by the Kampuchea Institute of Certified Public Accountants and Auditors (KICPAA). I had additional task that day as I was one of the speakers at the International Seminar held in conjunction with the admission of KICPAA as an associate member of IFAC. One of the highlights of the dinner was the performance by Bosbapanh, a talented 11 year old girl soprano from Cambodia. Not only she could sing songs such as Mona Lisa, Fleur de Vientiane and Bengawan Solo, she also performed Five Hundred Miles while playing guitar and Sa Ugoy Ng Duyan while playing piano. 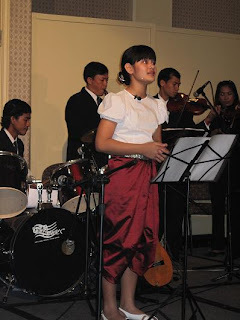 Bosbapanh is planning to organise a concert in May 2009 where 150 musicians from Cambodia and other countries would be performing with her. As a gesture of support, the audience were generous in handing some financial support to her and her colleagues through a quick fund raising exercise during the dinner. It is very heartening to know that Cambodians such as Bosbapanh are playing their roles in developing the country, not only economically but culturally as well. As Cambodia moves further away from relying on donors to survive, the hope of future generation of this country is symbolised by the drive and ambition of people like Bosbapanh. If I have my way, I would like to see Bosbapanh performing during the World Congress of Accountants in 2010 in Kuala Lumpur. When an organisation goes through a strategic planning exercise, it should be clear what exactly the outcome should be. Defining markets? Identifying winning products? Out-smarting competitors? Clarifying vision and mission? 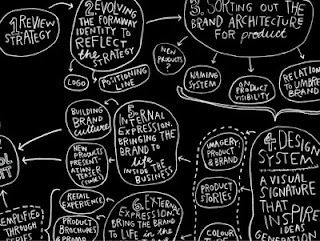 The above would be the normal stuff that would be covered during strategic planning sessions, normally held in nice resorts to provide the ambiance to stimulate thoughts and ideas. At the end of the planning sessions, a long list of strategies and action plans would have been agreed upon and ready for execution. What happens the day after the strategic planning sessions? Quite a number of organisations have problems in executing strategy. Why? I believe the key issue is the buying in of the people in the organisation. Are all of them on board? Are their life priorities aligned with the strategic direction? 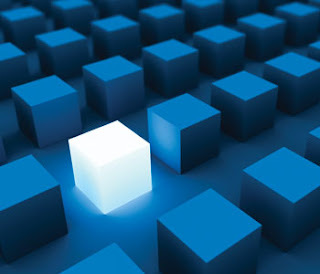 On obvious outcome from a strategic planning session is that CHANGE will need to happen. Otherwise, why strategise in the first place if nothing will change? And change requires people to do things differently or doing different things. This will only happen is the hearts and minds are changed. People won't change when the bosses say so, but their hearts would be driving them to change in the ways which support the achievement of the organisational goals. The change in the hearts is more important since the change is supposed to be sustainable, not only for a few months or weeks. The people may change if they are threatened but the question is how long would it last? This is the reason that the people must "buy" the ideas that are conceptualised during strategic planning. This requires allowing serious participation and welcoming views "from the ground" with utmost sincerity. One the thoughts and ideas behind the decisions are understood and agreed upon by most people, the chances for sustainable change to happen would be higher. So, aligning business strategy with the interest of the people in the organisations or enterprises is very important for a very simple reason. Strategy needs to be executed by people who are committed to the cause. Without that, the feel good atmosphere would not last that long! This is the news that would make a lot of people happy. 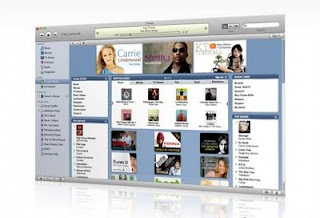 Until now, Apple had insisted that sold music downloads through its iTunes platform for a fixed 99 cents with Digital Rights Management (DRM) which prevents the music to be transferred to other platforms other than iPod. The company now is planning to sell music without the DRM and at variable prices of 69 cents, 99 cents and $1.29. iPhones users could also purchase music from iTunes on the move over 3G networks. With the new business model, Apple is responding to emerging music competitors such as Amazon which are selling musics without the DRM. In the Web 2.0 era, restrictions on intellectual assets may not be effective and could also deter people from using or purchasing services. By allowing downloaded music through iTunes to be used in many more ways, the value to customers is enhanced. The more flexible pricing structure would allow music to be priced based on demand. This is not much different from the strategy used by low cost airlines in pricing their tickets. This effort also extends the distribution channel through iPhones using 3G networks. My making purchase easier, the chances for existing customers to download more music would be higher. The changes in the iTune business model reflects the need for companies to listen to their customers and adjust the way they do business in the way that the customers want. Nowthing could work forever and continuing change for better future should be high on the agenda of all companies.